The FINAL piece of the puzzle is now here! 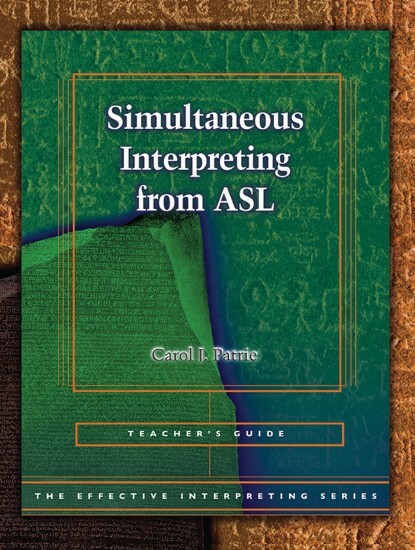 The Effective Intepting Series: Simultaneous Interpting from ASL is now here! Combine a workbook filled with research-based exercises, and almost 3 hours of ASL video material, and you have a WINNING combination! Developing linguistic flexibility in both English AND ASL is the key to effective interpting! EIS gives you the tools to ensure student success! In addition, all teachers receive FREE ACCESS to the digital student library! Click HERE to visit the EIS series page!